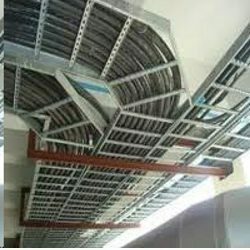 Electrical Installation Services Offered Are Handled By Experienced Team Of Professionals Having With Them Extensive Understanding Of Meeting The In-hand Electrification Demands. These Installation Services Are Highly Demanded In Areas Like Offices, Buildings And Residential Complexes As Well As In Other Areas. Further, Our Team Also Employs Latest Technology & Methodology Support To Deliver Solutions That Are The Best Available In The Market. Our Expertise Lies In Providing Electrical Support In Areas Like Hazardous Area (FLP Equipments), Pharma Clean Room Area, Installation, Testing & Commissioning Of 11 KV Switch Yard And Others. Copyright © 2019. Krish Engineers All rights reserved.